Insurance companies hire doctors to conduct "independent" medical exams, but do not be fooled. Insurance companies hire doctors to conduct these "independent" exams. Many times these doctors charge $500 - or more - per exam, as opposed to the $85 they charge for an exam of a patient they are treating. Many times, the whole exam lasts only 5 minutes or less (I've had clients time it) and the doctor then writes a 3 or 4 page report to the insurance company or its attorney. There are a handful of physicians in Washington, D.C. who earn an extremely good living performing these exams and writing these reports for insurance companies. You can imagine the "opinions" these doctors generate. They may say the injured worker was never hurt, or wasn't hurt on the job or the condition he suffers from now was not caused by the injury, or the injury only caused a temporary aggravation of some underlying condition, or the injury is not as bad as the worker and his doctor think, ...You get the picture. Sometimes the reports on different injured workers are virtually identical - only the names have changed. And in my experience, the more desperate the carrier, the more notorious the litigation or insurance doctor they will turn to for the exam. Do not be fooled by this. If you have been hurt on the job, you have the right to choose your OWN physician.The workers comp insurance company cannot just send you to some doctor or clinic.Keep in mind that these insurance companies are in the business for themselves. 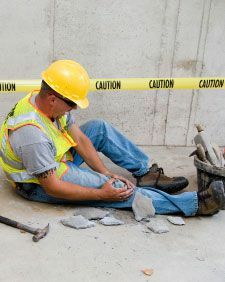 If you have been hurt on the job and would like more information how to start your workers comp case, reach out to us. We experience working with many people who have been hurt on the job and have written many books and guides. Get a copy of Protect Your Rights: The Ultimate Guide to D.C. Worker's Compensation.